We are a KAIROS community! Stay tuned as we hope to organize, with other KAIROS groups in Vancouver, a workshop called Making it Matter: the UN Declaration on the Rights of Indigenous Peoples in May 2013. 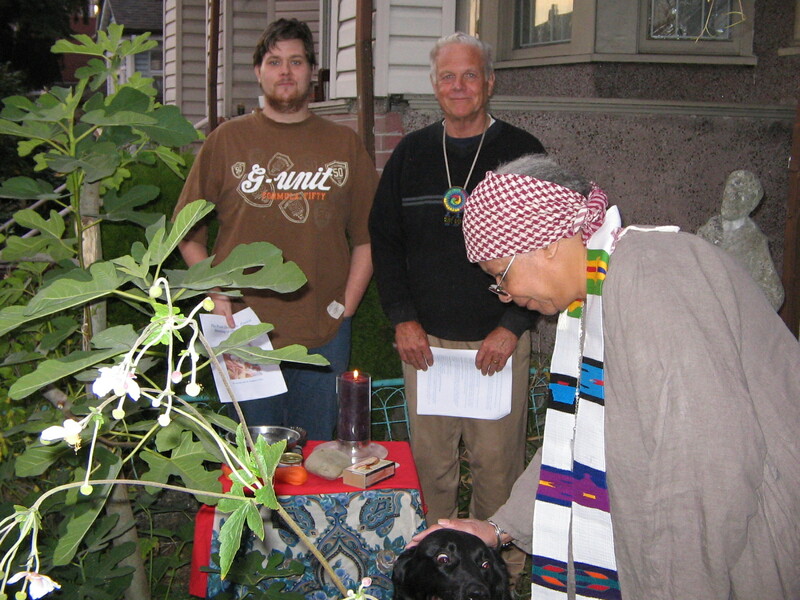 The animals were blessed in the front yard at Samaritan House this past Thursday. 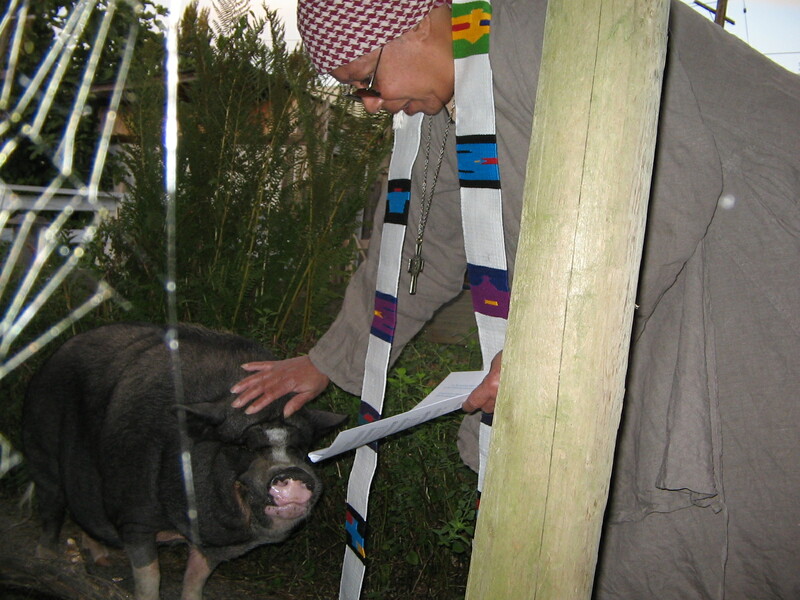 The furthest-traveled critter was Charlie the eight year old Vietnamese pot-bellied pig who came over from his home on Bowen Island. 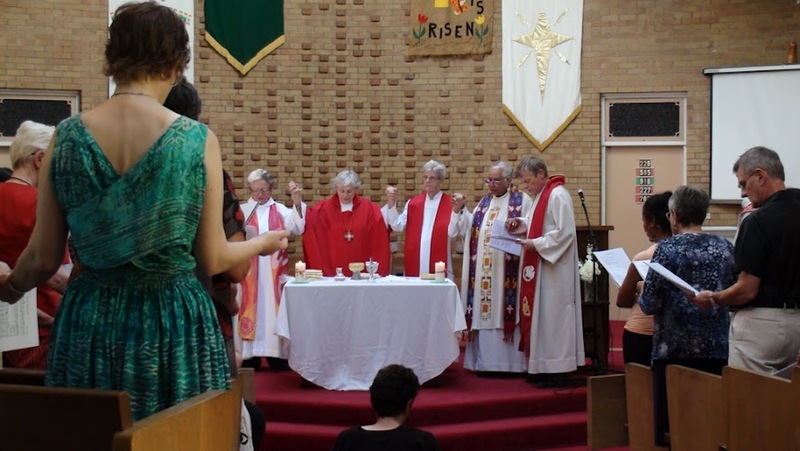 Here’s the online link to front page Island Catholic News story about Vikki’s ordination in July. Thanks ICN! Today we celebrated the Eucharist for the second time in our current ‘home’. We’ve settled in nicely to using space at the New Way Community ( http://newwaycommunity.ca/ )every other Sunday afternoon at 4pm. It’s an accessible, adaptable space at 678 E Hastings St. with lots of bus service. You’re welcome to stay for coffee afterwards. Please join us next on September 30th. A reflection by one who was there. Rev. Donald Grayston is a friend of Vikki’s and attended her ordination. He’s written a wonderful reflection on the experience. Thank you Don! 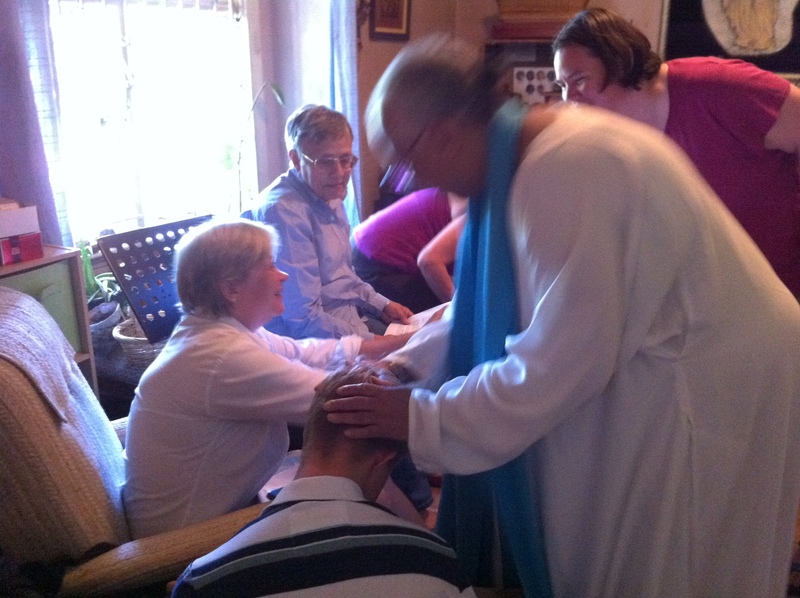 On Sunday July 29 2012 Vikki Marie was ordained as a priest by bishop Marie Bouclin who concelebrated the mass with Michele Birch-Conery and Roberta Fuller. Bishop Marie, Vikki, Michele, Roberta and 126 others around the world are members of the Roman Catholic Women Priests (RCWP) movement. 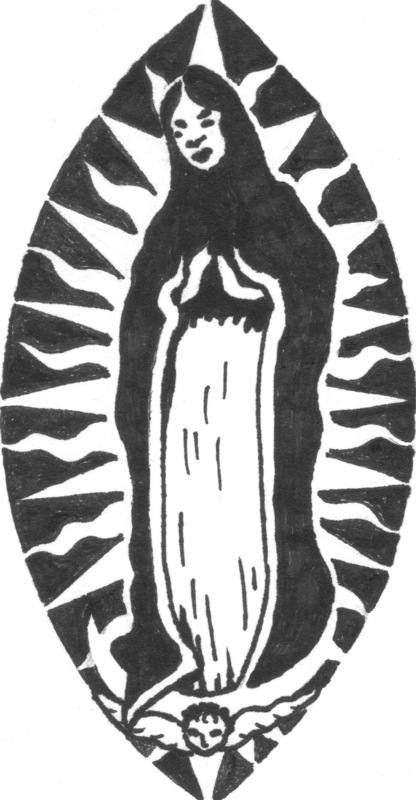 This initiative is a renewal movement within the Roman Catholic Church. 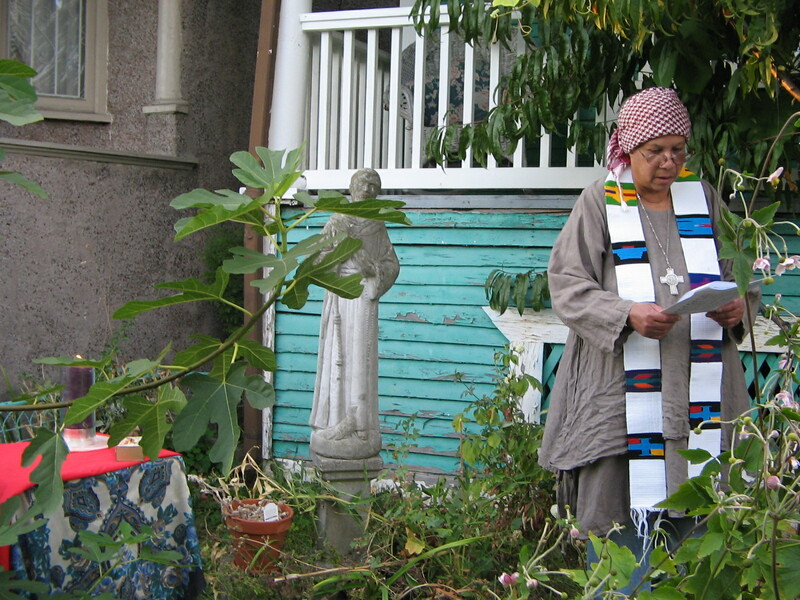 Their goal is to achieve full equality for all within the Church as a matter of justice and faithfulness to the Gospel. The Women Priests movement advocates for a new model of inclusive priestly ministry in the church. Vikki invites all who would like to join a worshiping community that practices an open table to contact us and help us to shape this community. We’d like your input about worship times and places that work for the community. Please complete our survey, tell us a little about yourself and how you would like to participate.